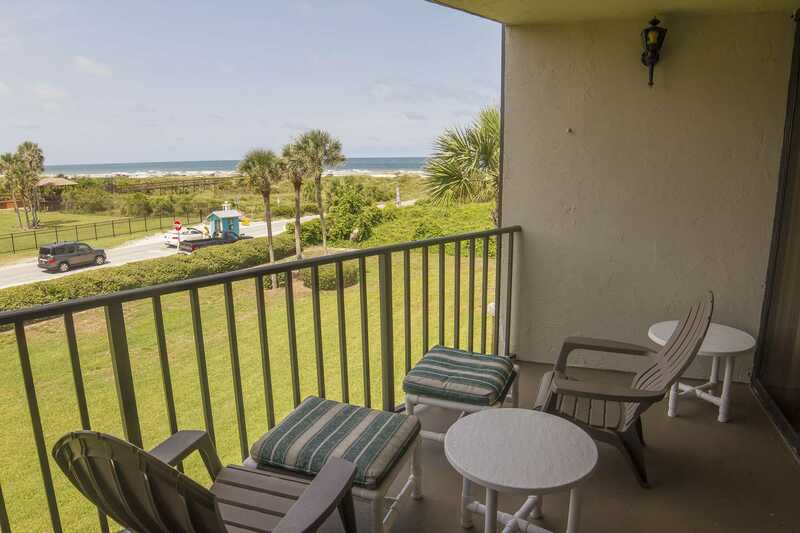 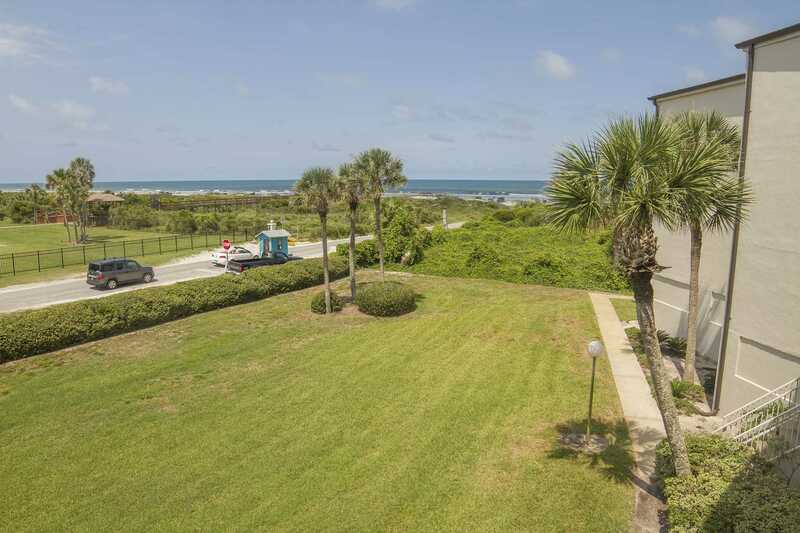 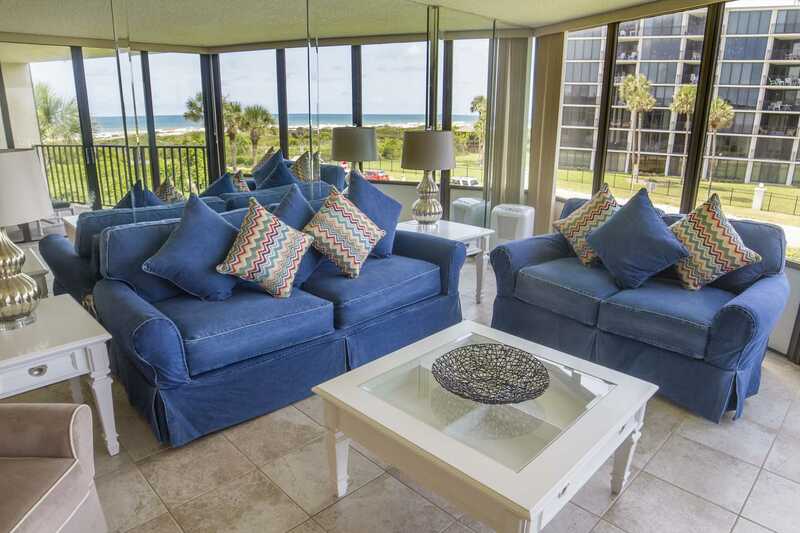 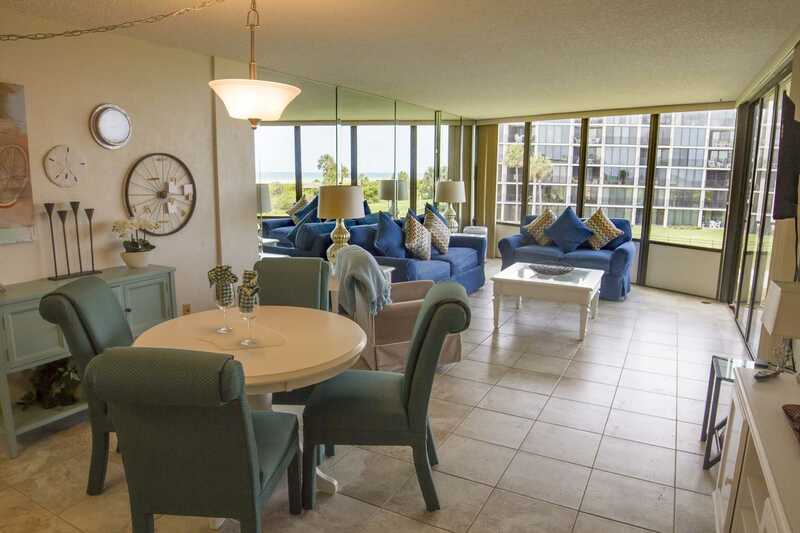 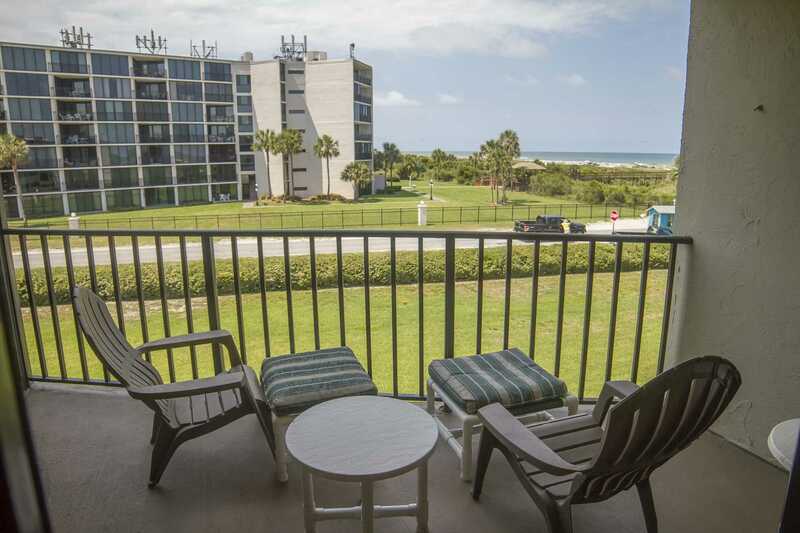 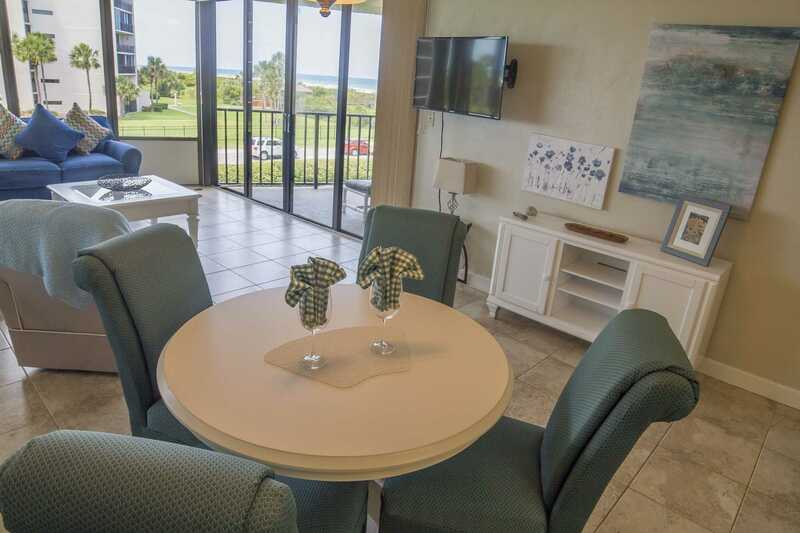 Enjoy your morning cup of coffee on the balcony on this updated ocean view condo. 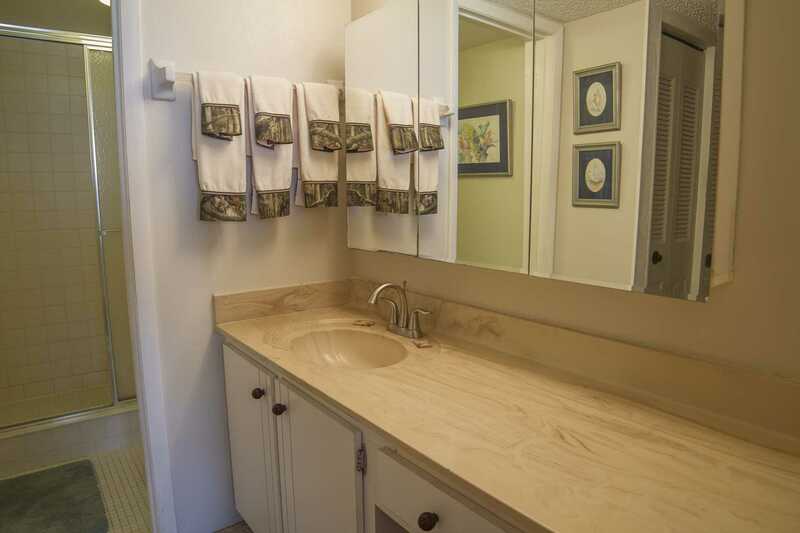 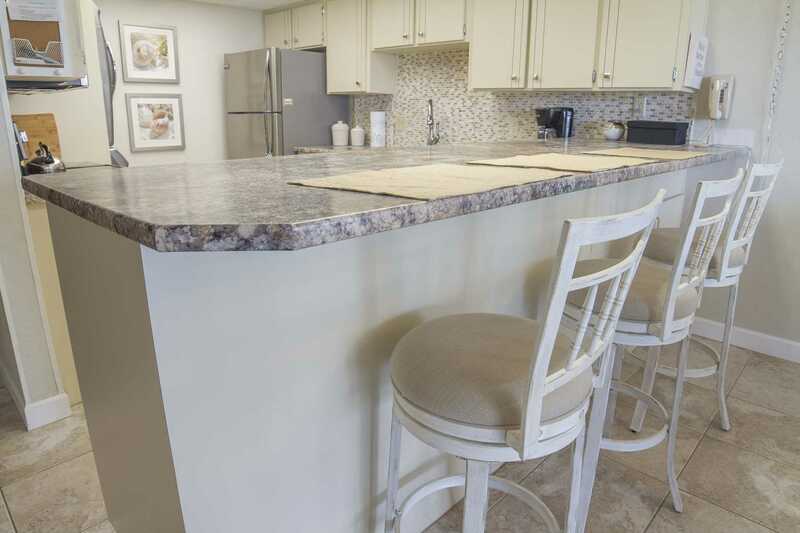 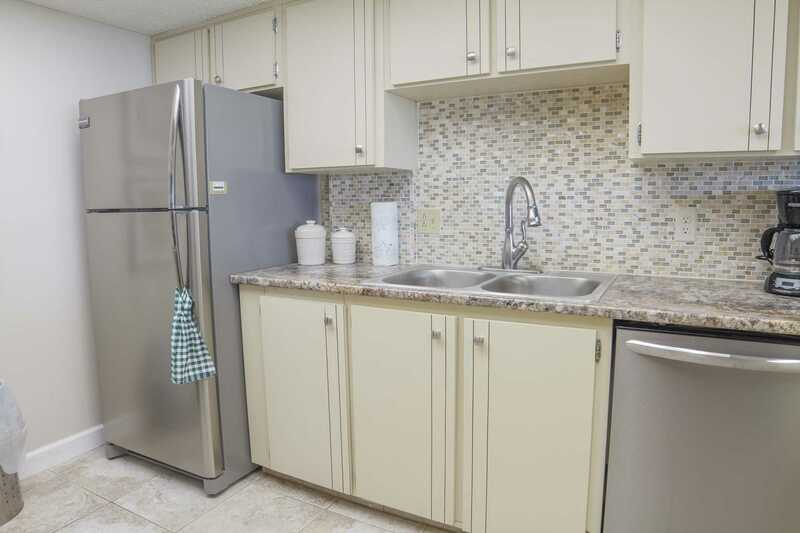 Unit has been recently updated with painting, new furniture, new kitchen appliances and countertop. 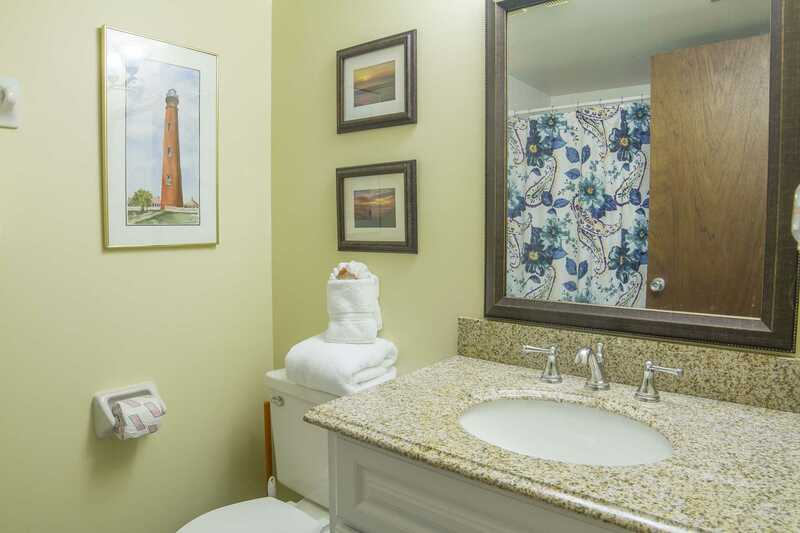 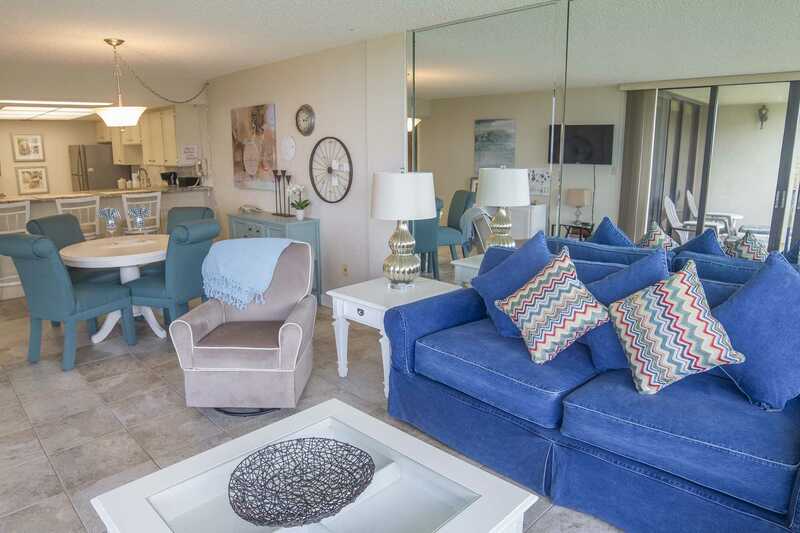 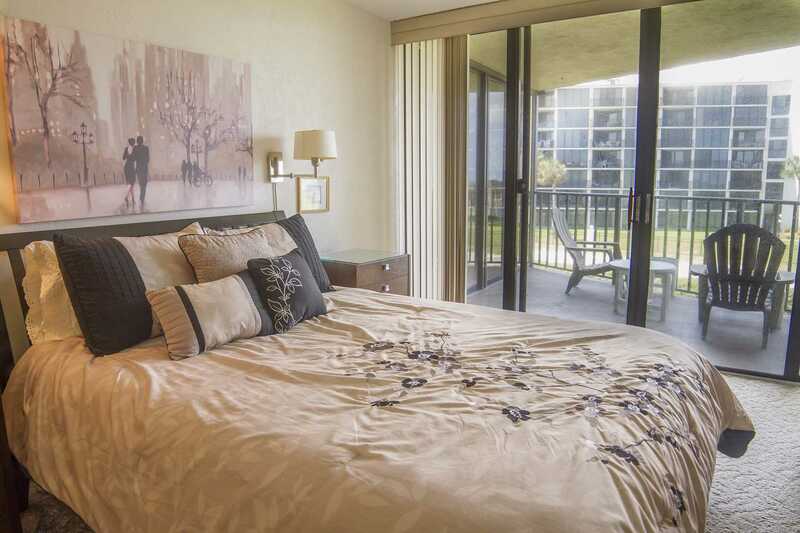 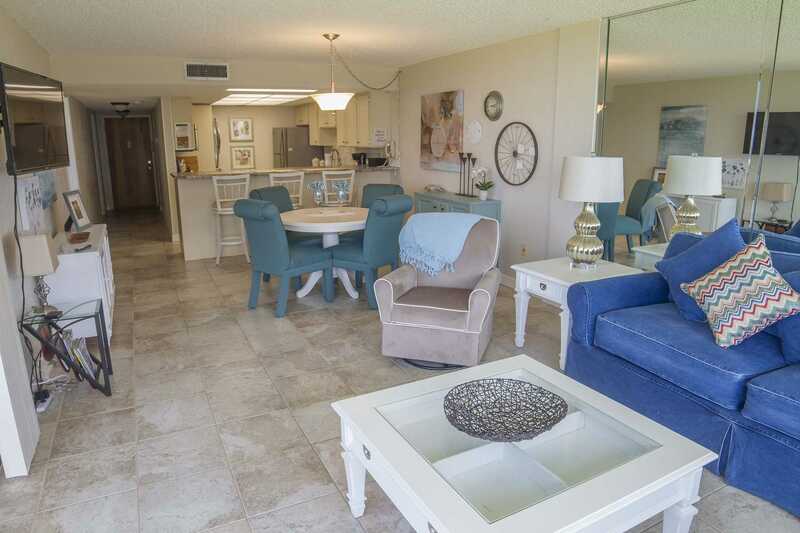 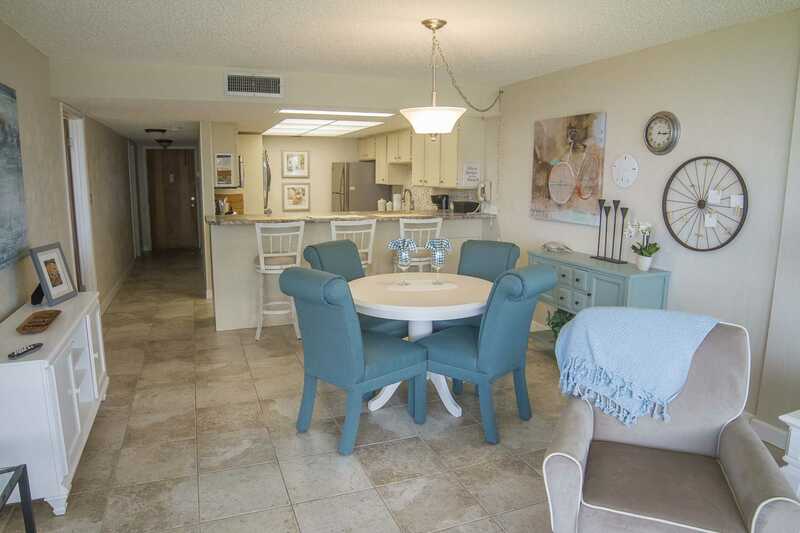 This beautiful 2 bedroom, 2 bath unit has all the comforts of home while you enjoy your vacation relaxing at the beach. 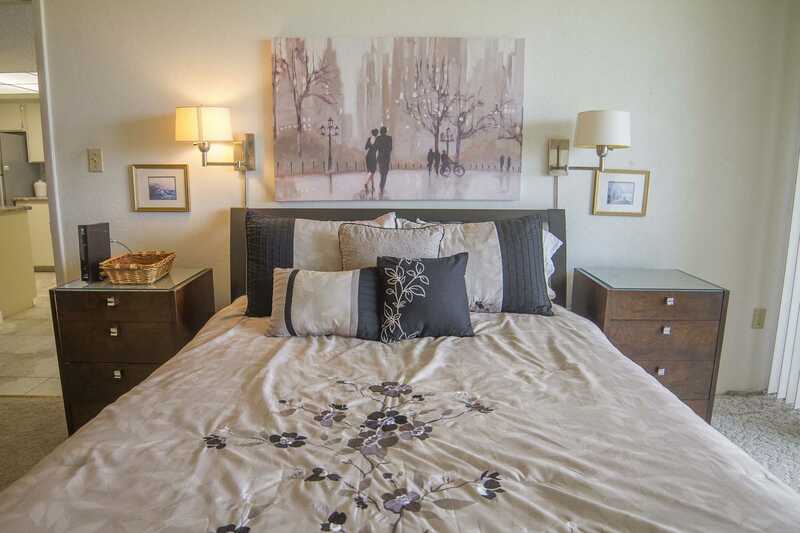 Master bedroom has queen bed with ceiling fan and TV . 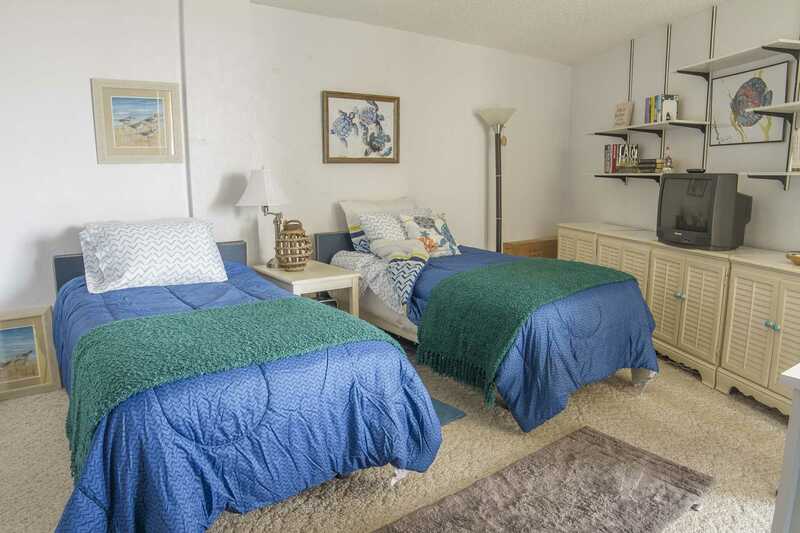 Guest bedroom has 2 twin beds and tv with ceiling fan. 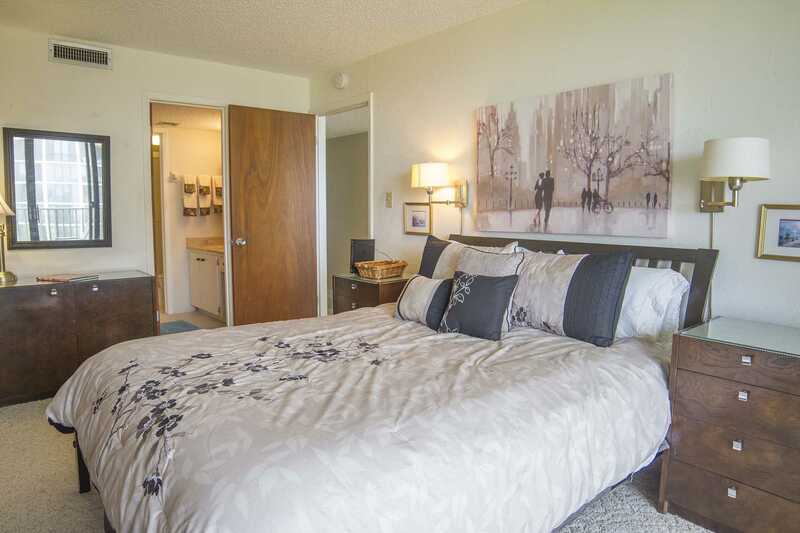 SLeeper sofa in unit with new flat screen mounted on wall. 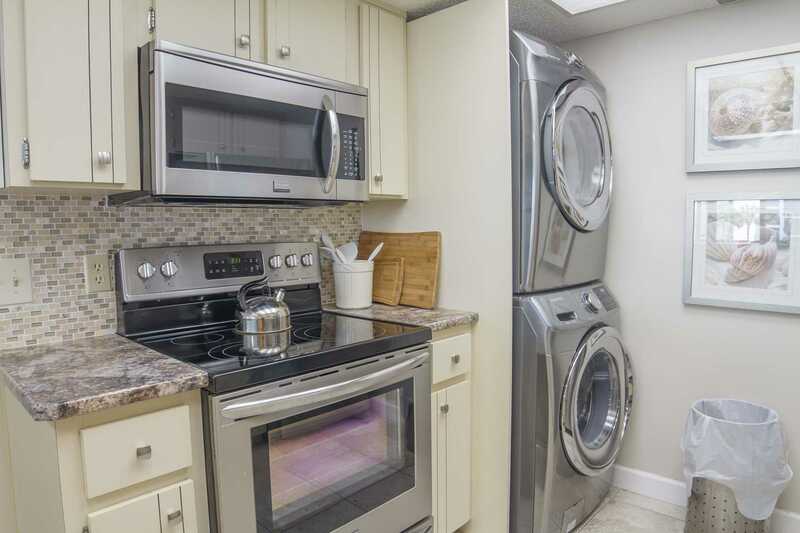 Kitchen has updated stainless steel appiances with washer/dryer.